Introduced two years after the Mustang guitar, the Mustang Bass was the first student-level bass produced by Fender as well as the last production bass designed by Leo Fender before he left the company. 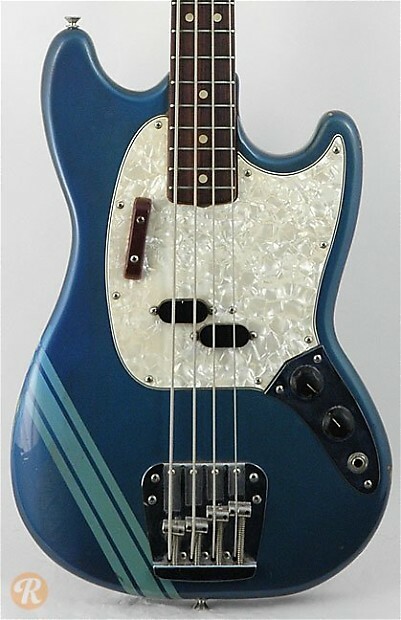 Targeted towards younger players, the Mustang Bass offered a shorter 30-inch scale length as well as a lower price-point than the Precision or Jazz Basses of the mid-'60s. The split single-coil pickup was also smaller than that of the P Bass, but still captured a wide range of bass tones. 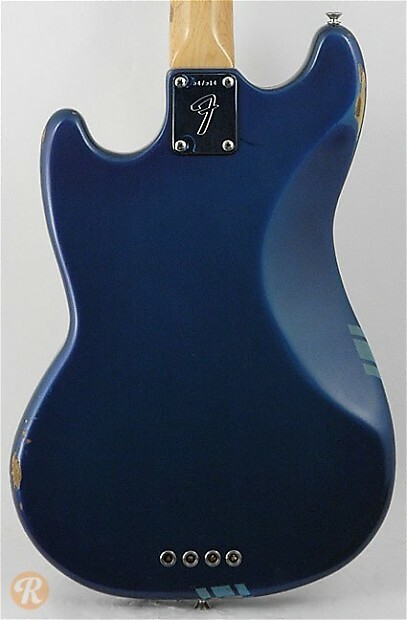 Starting in 1969, Fender introduced a set of snazzy "competition" finishes which added a double racing stripe to the body. Finish Specifications: Competition Blue was part of the Competition series of finishes introduced in 1969.